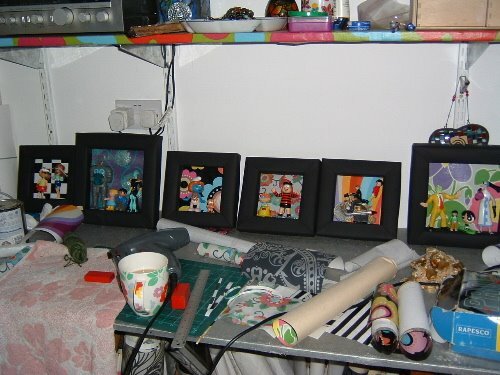 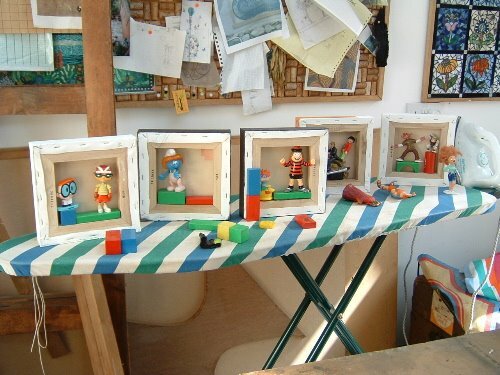 ELAINE PRUNTY : MOSAIC ARTIST : Toy characters as Portraits. 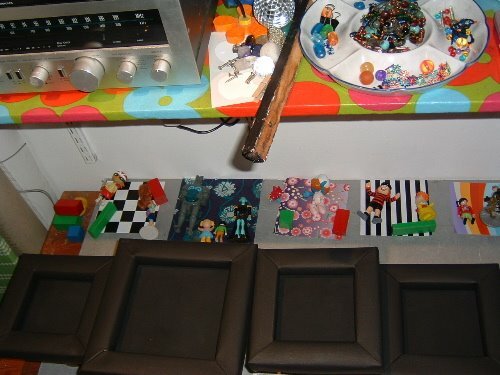 I have a collection of my children's toys that I 've kept. 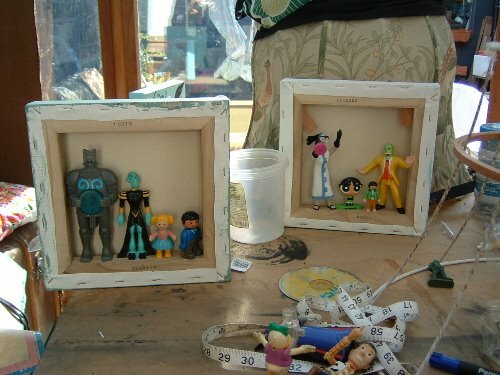 Last July I struck on the idea of making 'self' and 'family' portraits as toys/cartoon characters.